PM Modi Leaves For Tokyo, Says India And Japan "A Winning Combination"
This will be PM Modi's 12th meeting with Shinzo Abe since he first visited Japan as Prime Minister in September 2014. Prime Minister Narendra Modi left for Japan today to attend the annual summit with his counterpart Prime Minister Shinzo Abe. The summit will be held on October 28 and 29. 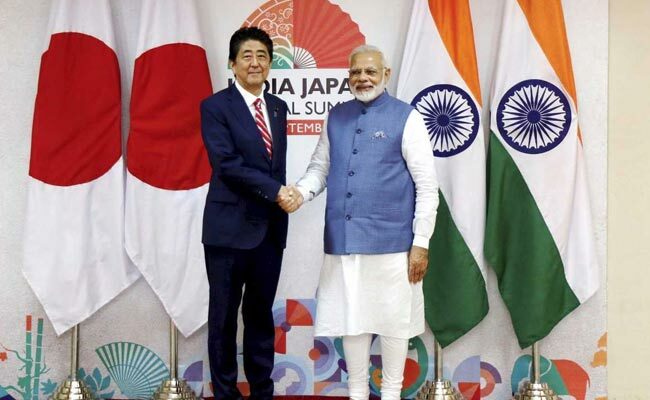 In a statement on Friday, before leaving for Japan, PM Modi described India and Japan as a "winning combination" and said that the island nation is New Delhi's most trusted partner in its economic and technological modernisation. He also said that India's partnership with Japan is of great substance and purpose. "We have a special strategic and global partnership. Our ties with Japan, both economic and strategic, stand completely transformed in recent years. It is today a partnership of great substance and purpose. It rests on the strong pillars of India's Act East Policy, and our shared vision and commitment to a free, open and inclusive Indo-Pacific," he said. This will be PM Modi's 12th meeting with Prime Minister Shinzo Abe since he first visited Japan as Prime Minister in September 2014. PM Modi said that as democracies, the two countries have shared values and they seek peace and prosperity for all. "Our complementarities make India and Japan a winning combination. Japan today is one of the most trusted partners in India's economic and technological modernisations and one of the top investors in India," he pointed out. PM Modi also spoke of projects such as Mumbai-Ahmedabad Bullet Train and Dedicated Freight Corridors and how they reflect the high level and the "strength of our economic engagement". "Japan is also at the forefront of engaging in our national initiatives, such as 'Make in India', 'Skill India', 'Digital India', 'Start Up India'... Japanese investors have faith in India's economic future, which is marked with myriad opportunities," he said. He stated that India values Japan's global leadership in innovation, technologies and best practices and during his visit, he will have a chance to see some of Japan's high-tech capabilities in robotics. Elaborating on the agenda of the summit, he said, "I will have wide-ranging talks with Prime Minister Shinzo Abe and interact with business leaders and captains of industry from both countries. I will also address the Indian community. These interactions will help to further strengthen our trade and investment ties, and cooperation in new areas such as healthcare, digital technologies, agriculture and food processing, disaster risk reduction and disaster resilient infrastructure." He recalled that last year, he had hosted Prime Minister Shinzo Abe and his wife Akie Abe in his home state Gujarat. In a special gesture, PM Modi will be hosted by his Japanese counterpart for a private dinner at his holiday home in the picturesque Yamanashi prefecture on October 28, which will be, perhaps, the first such reception to be extended to a foreign leader. MEA Spokesperson Raveesh Kumar tweeted about PM Modi's departure and also shared a picture of the prime minister waving just before boarding the plane. Visiting a valued friend & a partner in our progress!